A dollar doesn't buy a lot these days, but that's all it costs for entry to the Doveton Show at Myuna Farm, 182 Kidds Rd, Doveton on 23 September 2018 from 10am to 4pm. 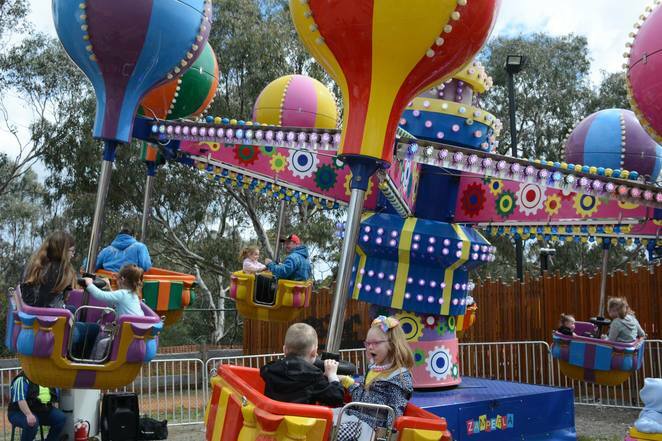 A low-cost family-friendly alternative to the Melbourne show, run by volunteers, and supported by local businesses and the City of Casey Council, it attracts more than 27 thousand people to Myuna Farm for this one-day event. Be sure to check the timetable so you can plan ahead. All that you'd associate with a fun day at the show will be there. The rides, the animals, the stalls, the show bags and many other attractions, so come on down and join the fun. Free activities will be found throughout the show, along with thrill rides, family rides and other additional rides like Dodgem Cars, Bungee Trampoline, Petrol Powered Jeep, Bungee Run and Cars Jumping Castle. The Pioneer and Main Stage will be filled with activities like goat milking and sheep searing demonstrations, reptile display, wool spinning display, environmental talks, music, and don't forget, Joey Davis, the famous talking cockatoo. Be sure to check the timeframes and all other details on the website for this massive, amazing event.